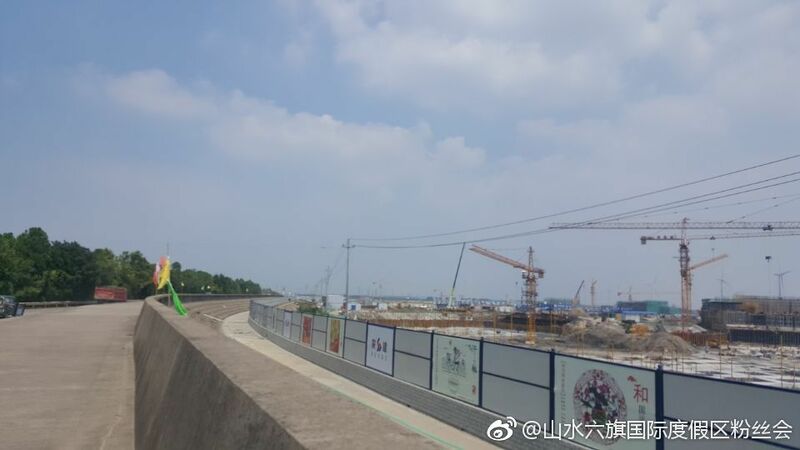 Also, it seems that the two of the six themed zones at Six Flags Zhejiang have changed from Great Escape and Great America to Garfield Beach and Waterfront Street. 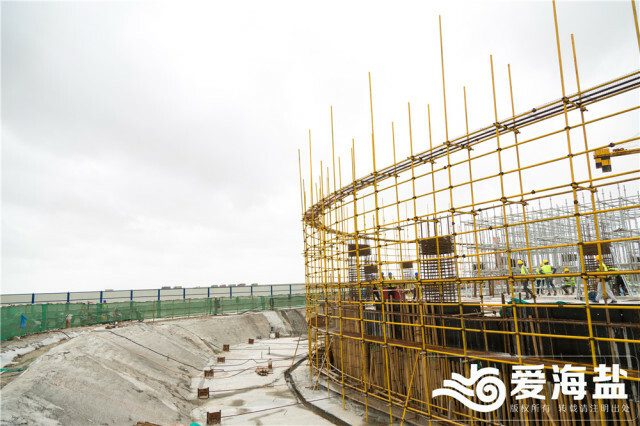 The themes of the other four zones, Thrillseeker Plaza, Magic Mountain, Fiesta Texas and Great Adventure, remain the same. 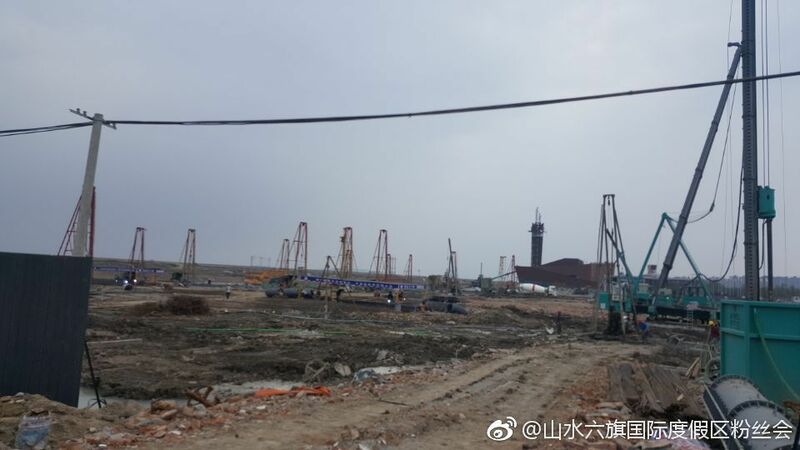 Construction on the Six Flags theme park, Hurricane Harbor waterpark and Paramount Hotel are progressing well as seen in the following photos. 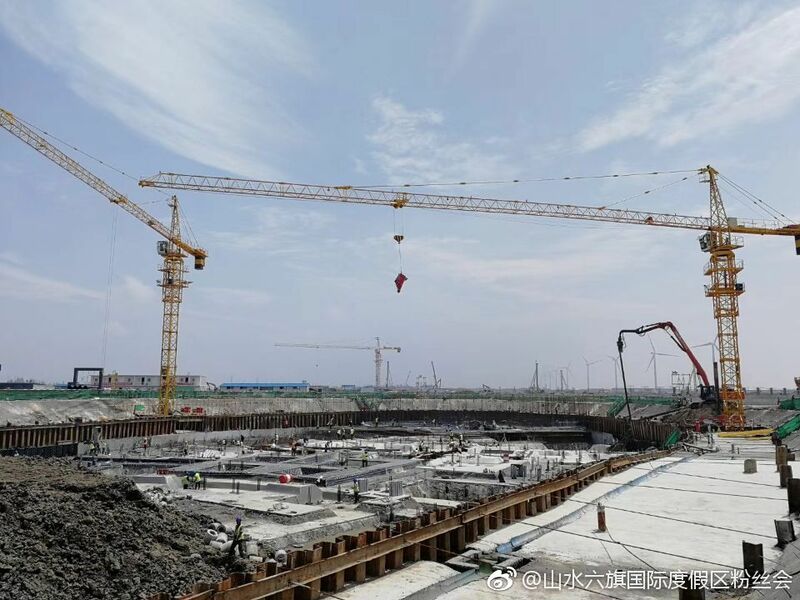 The plan is to still open at the end of 2019. 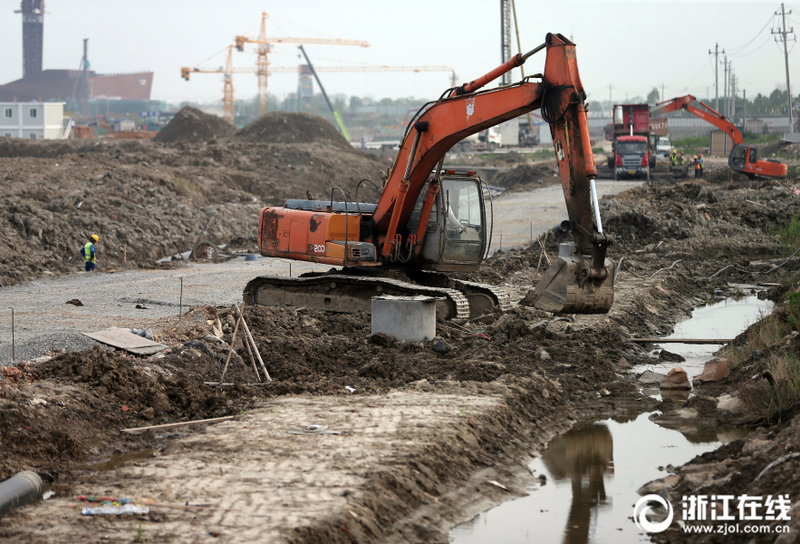 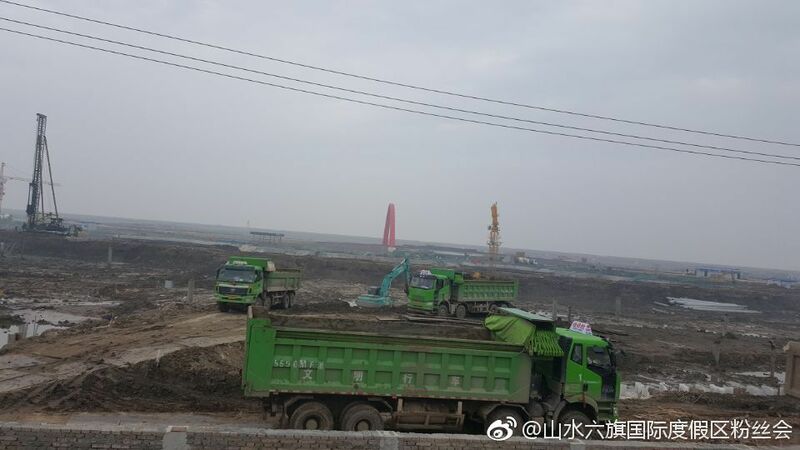 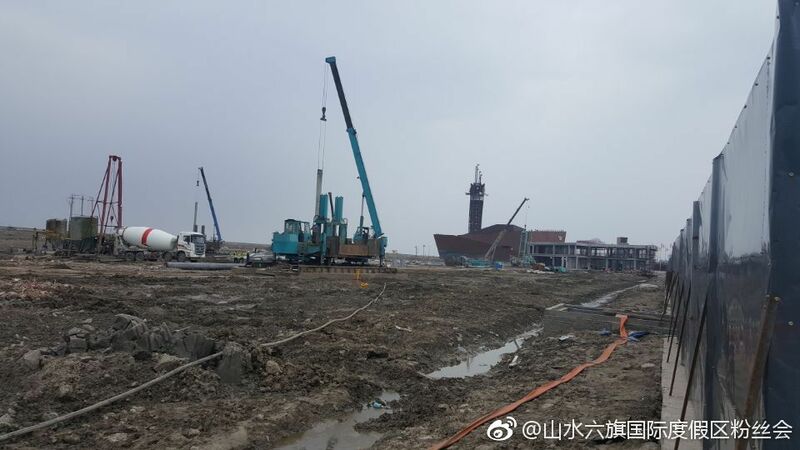 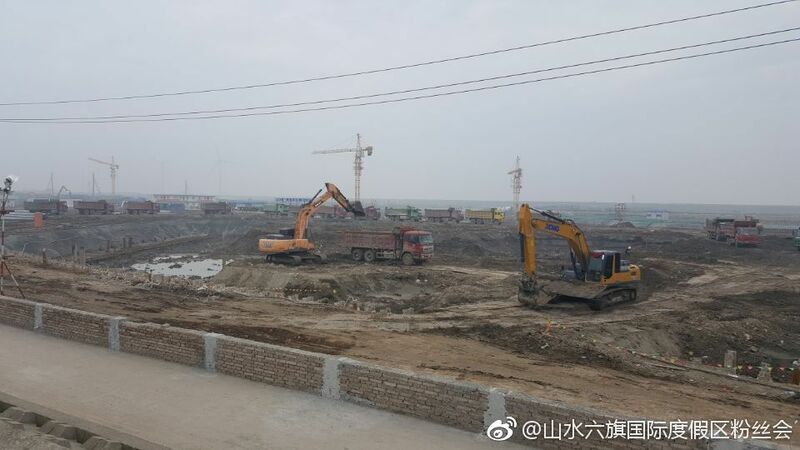 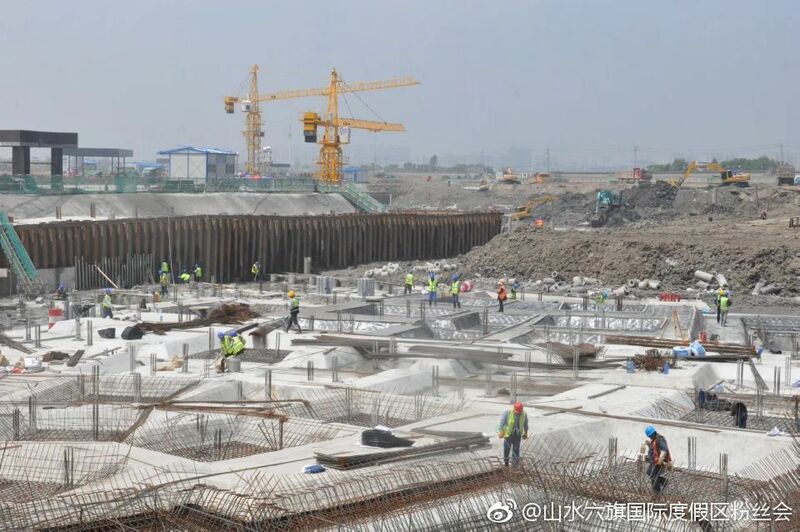 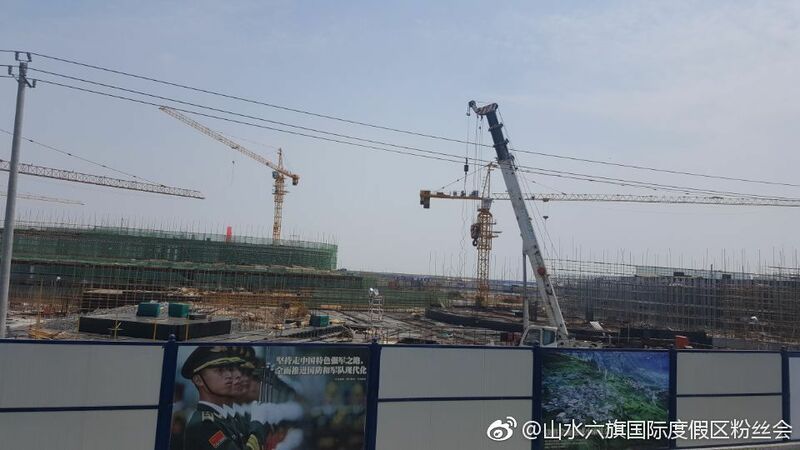 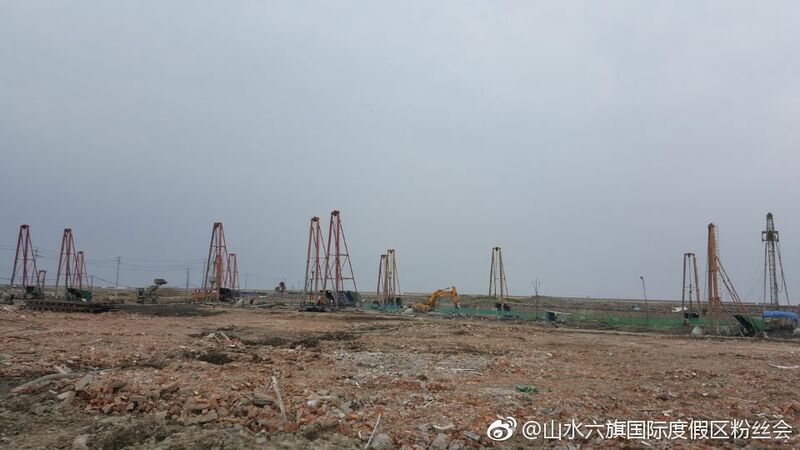 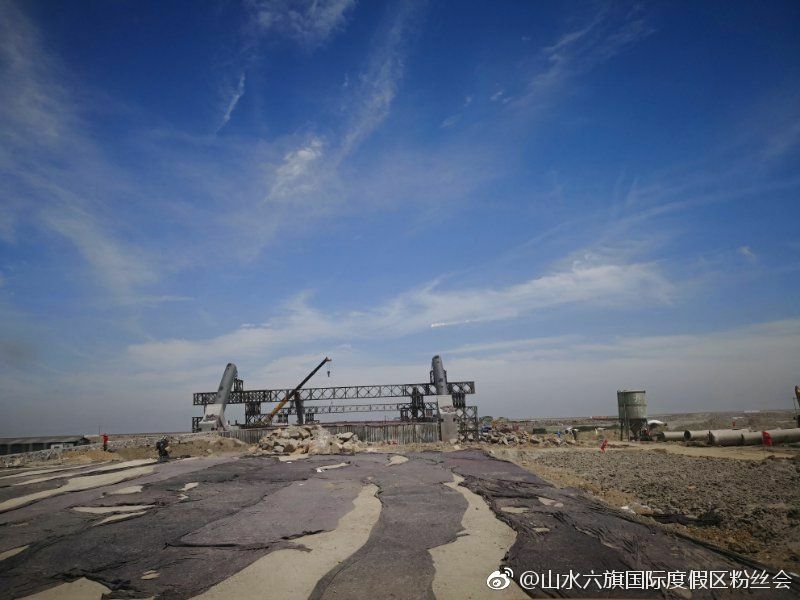 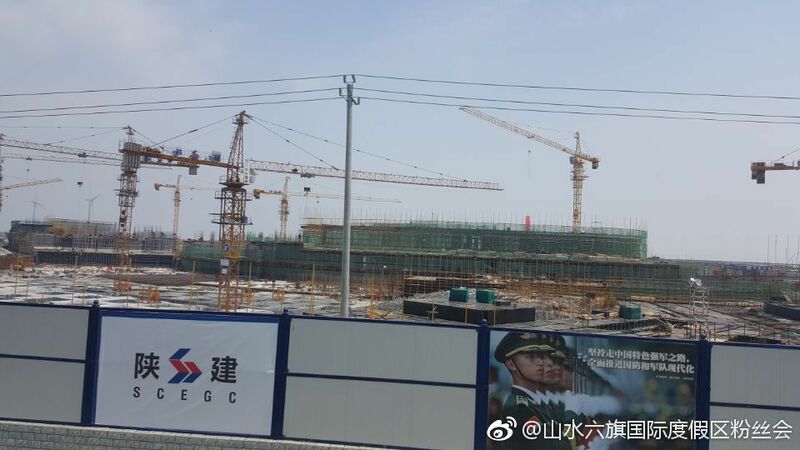 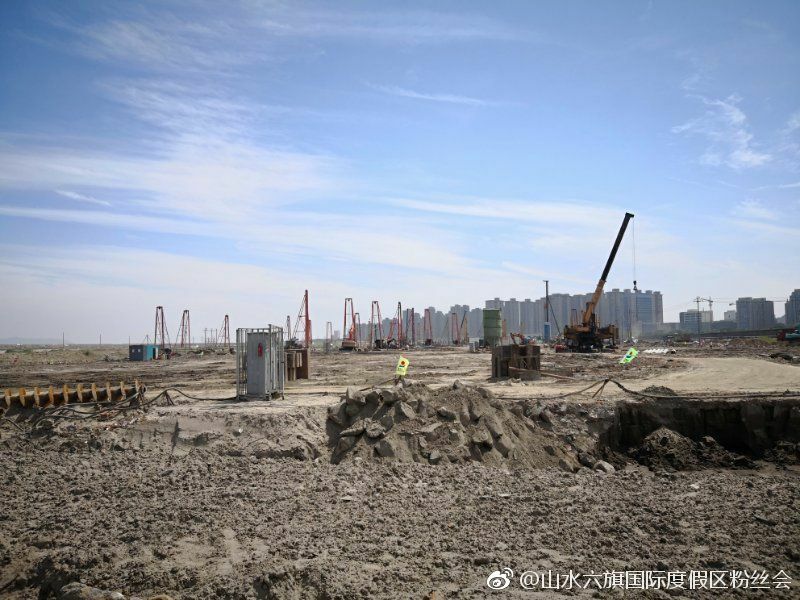 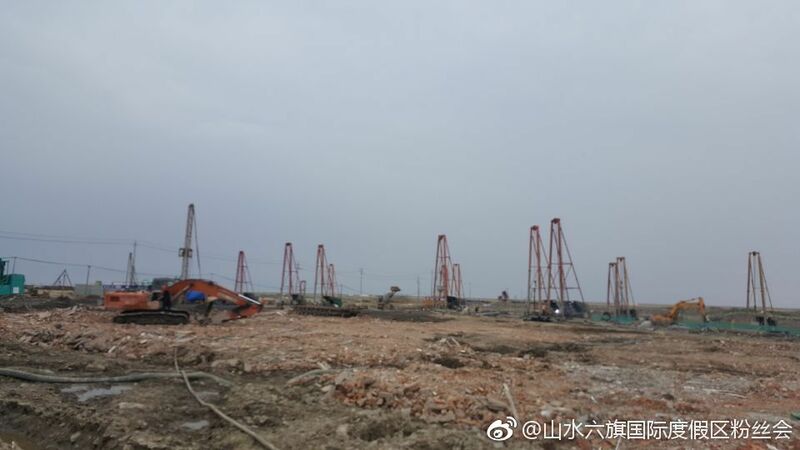 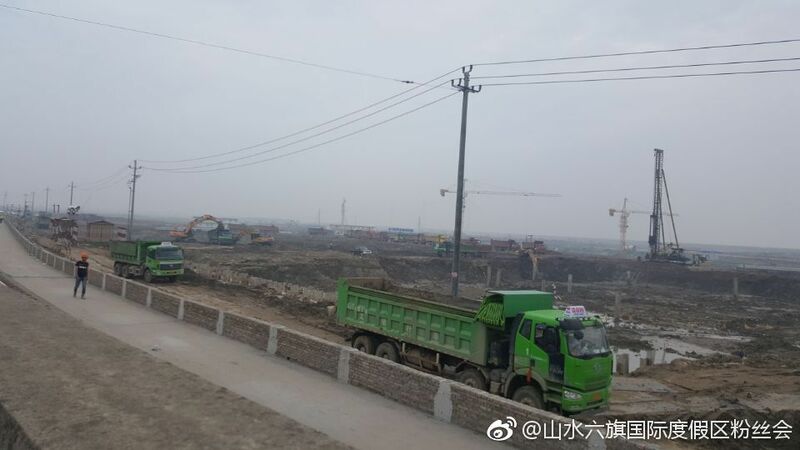 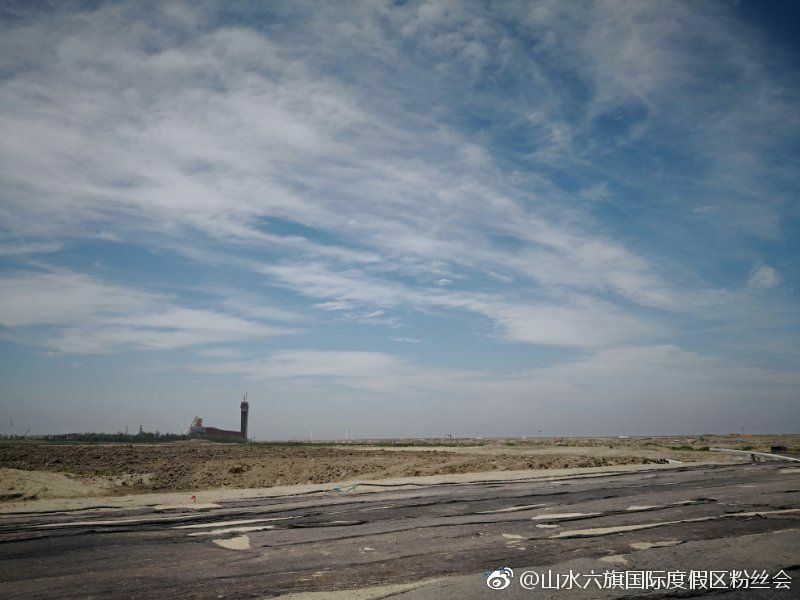 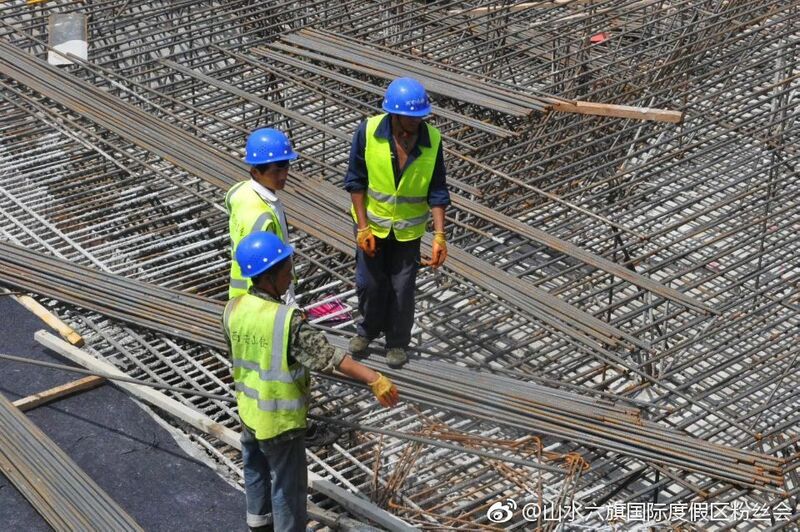 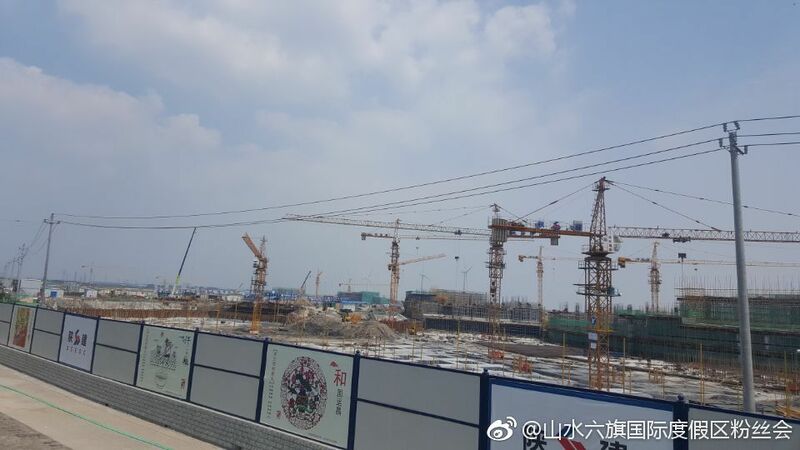 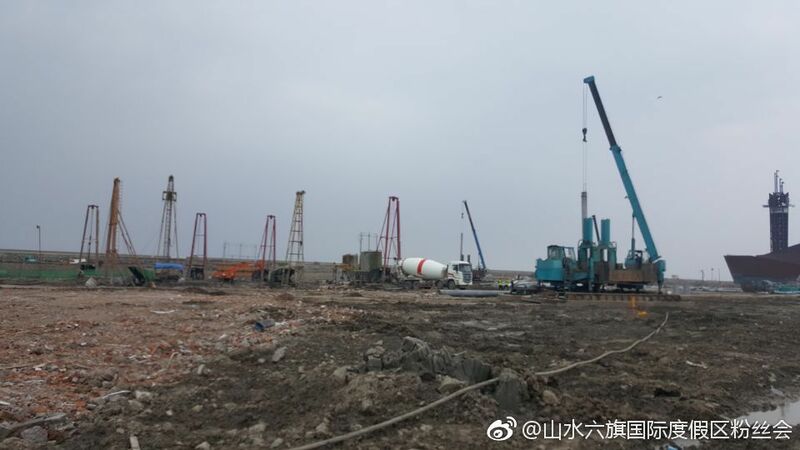 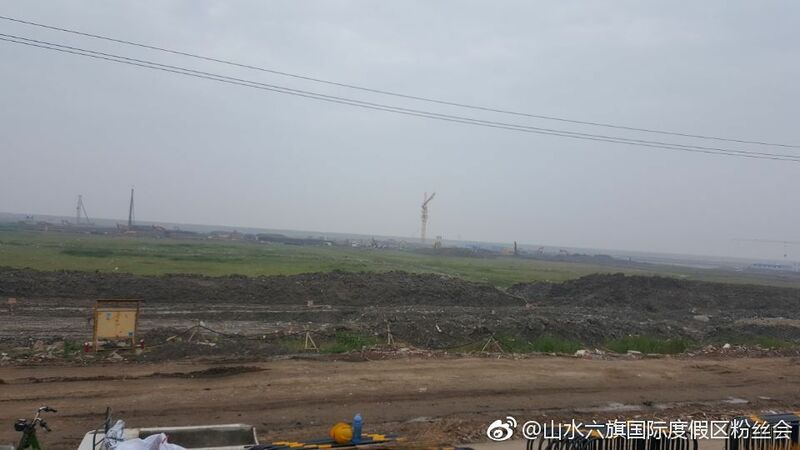 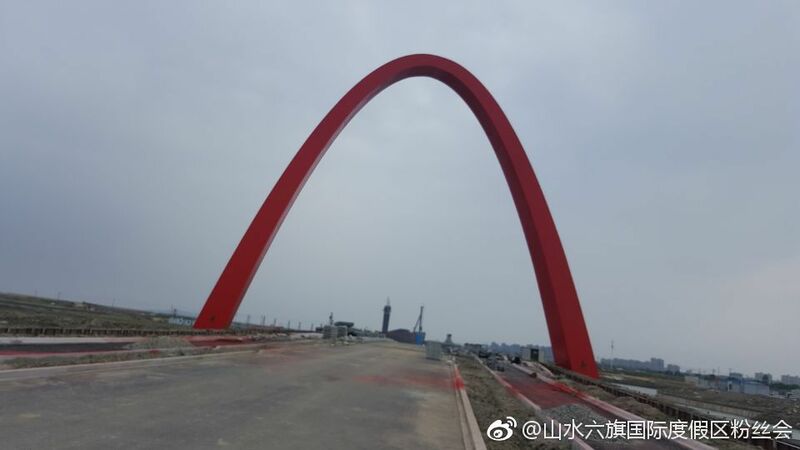 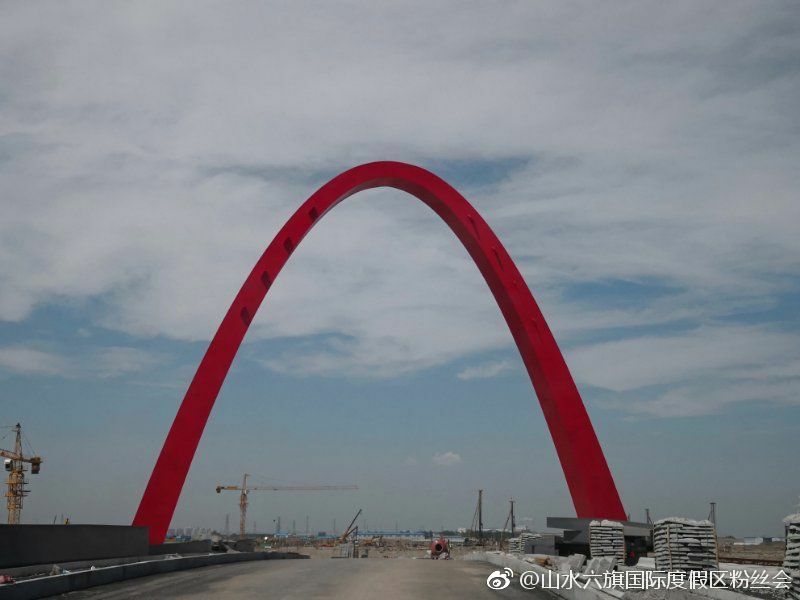 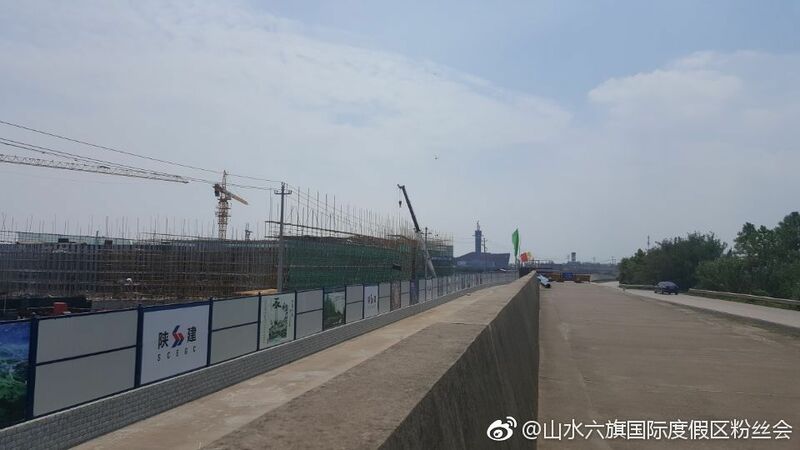 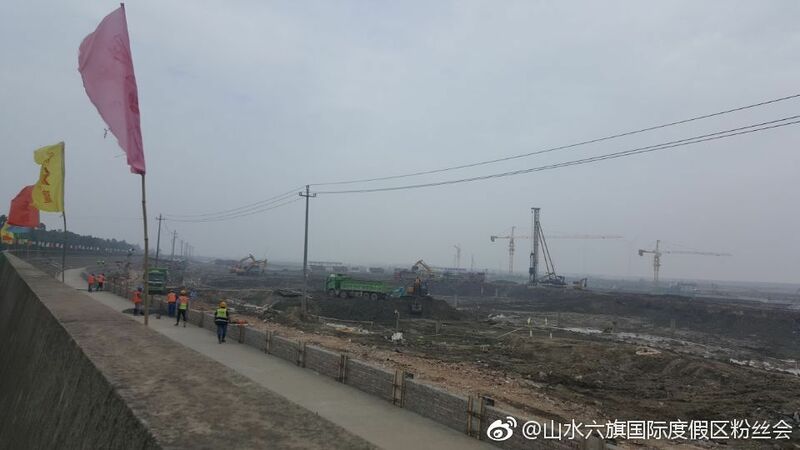 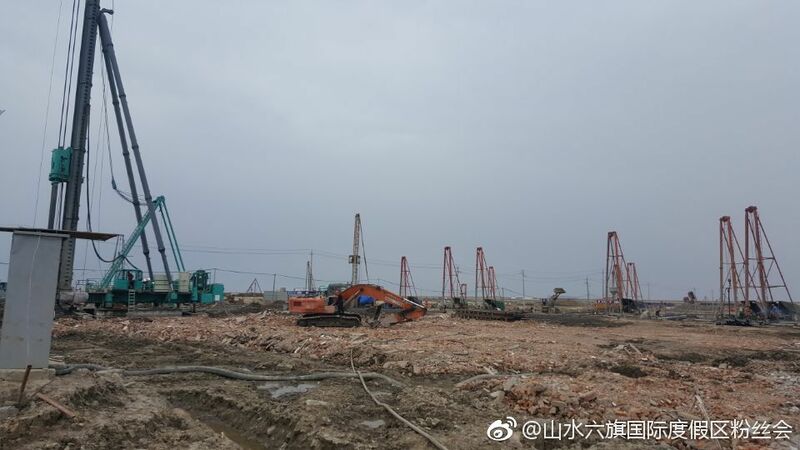 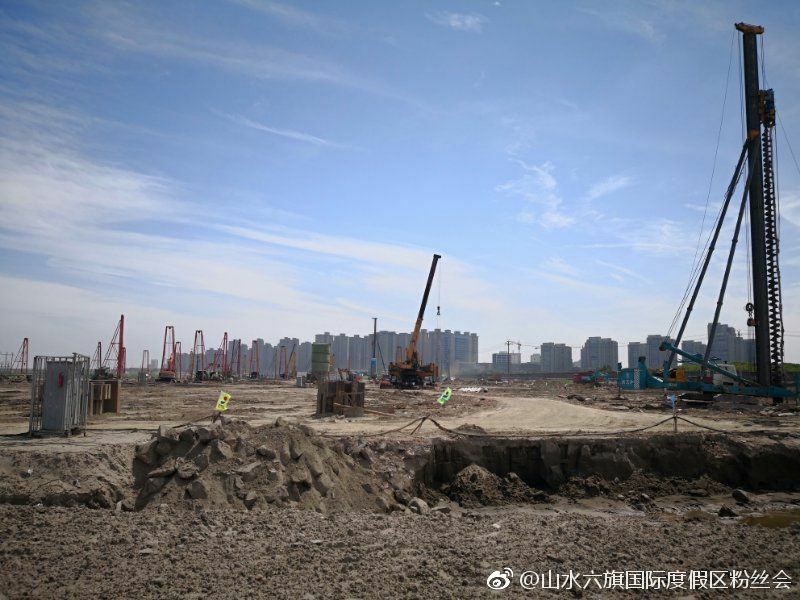 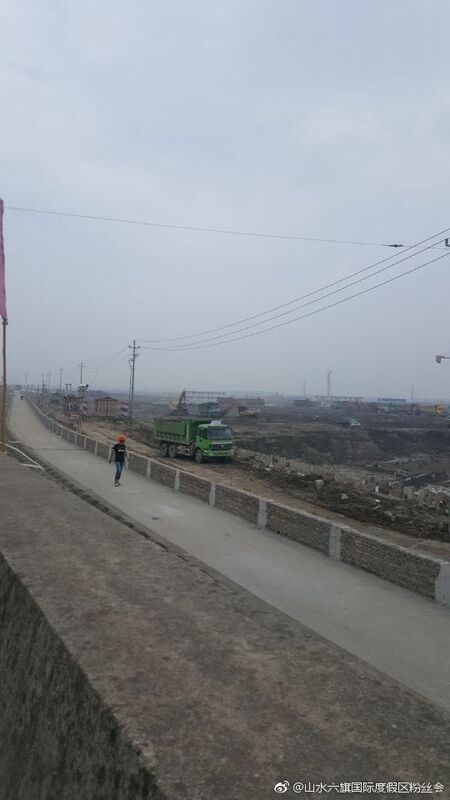 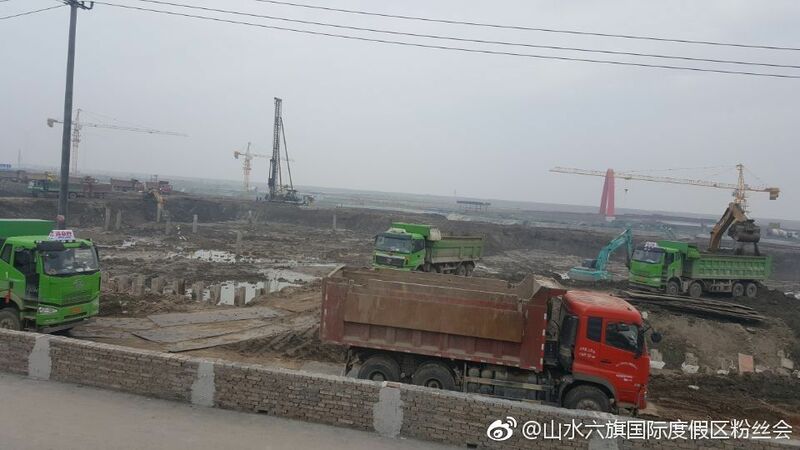 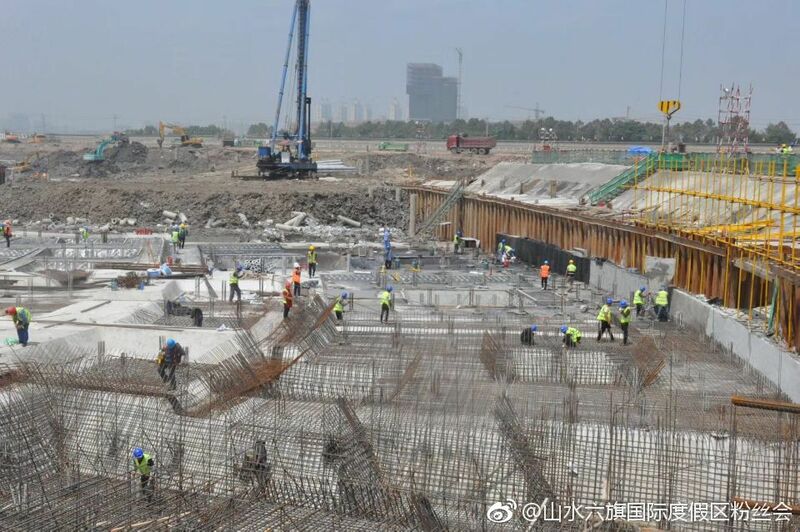 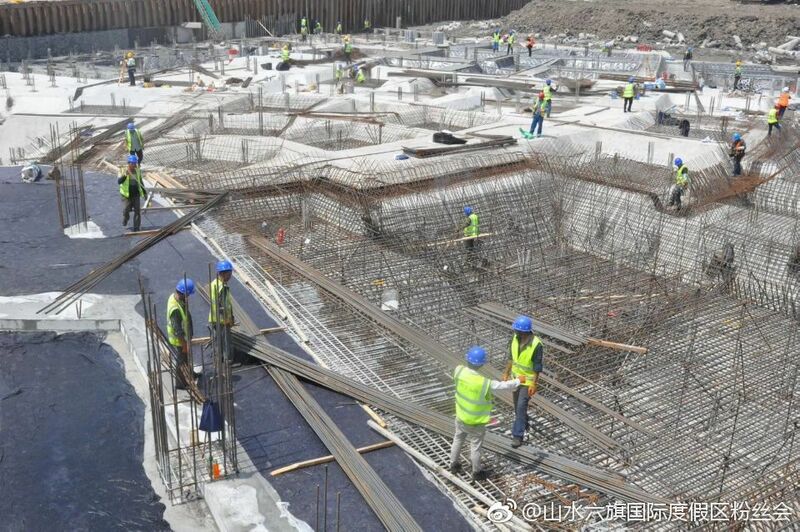 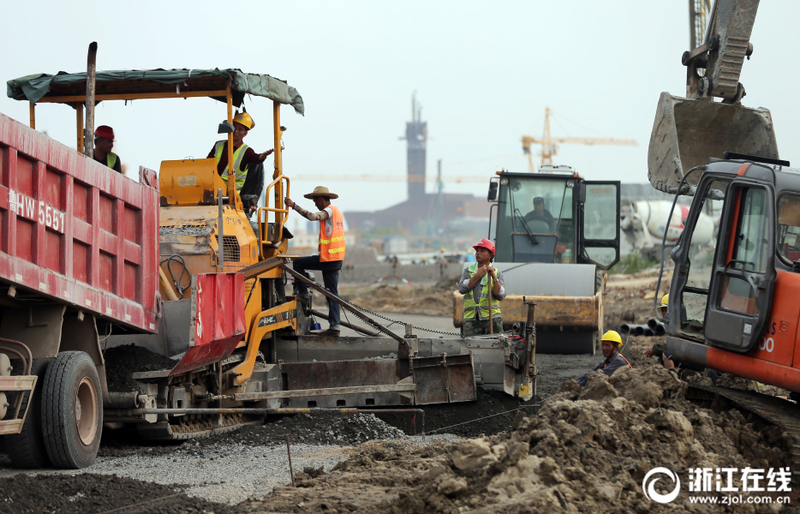 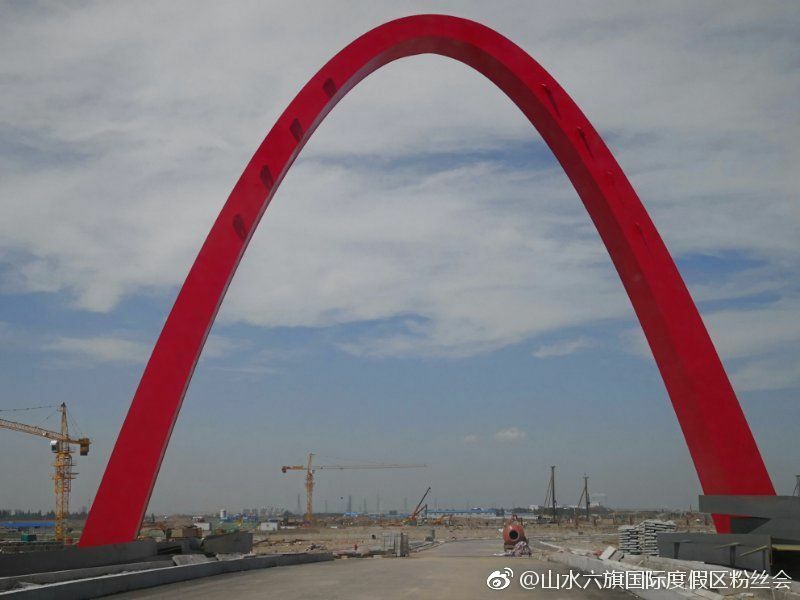 New up close photos of Six Flags Zhejiang's construction site. 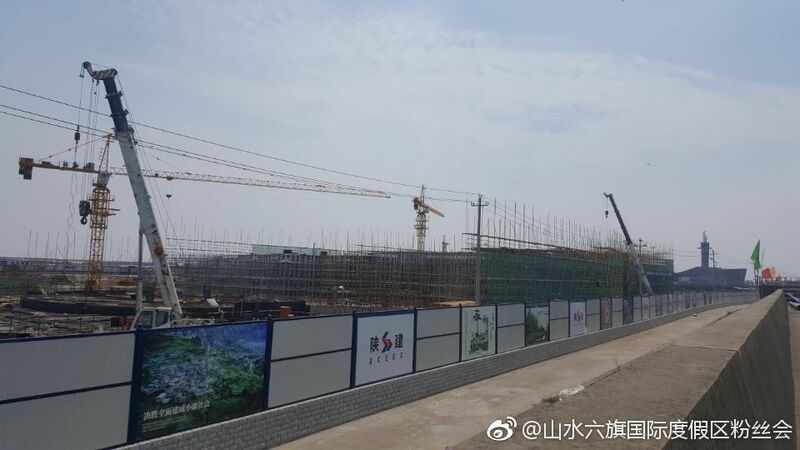 According to the webpage that these photos are from Six Flags will be opening in December 2019. 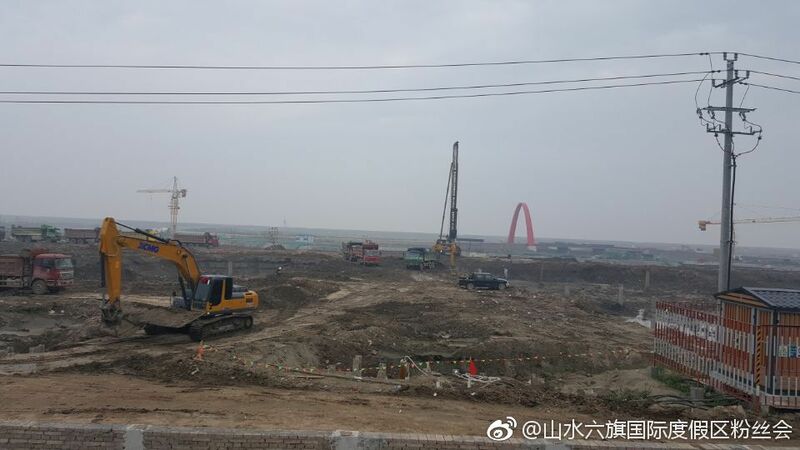 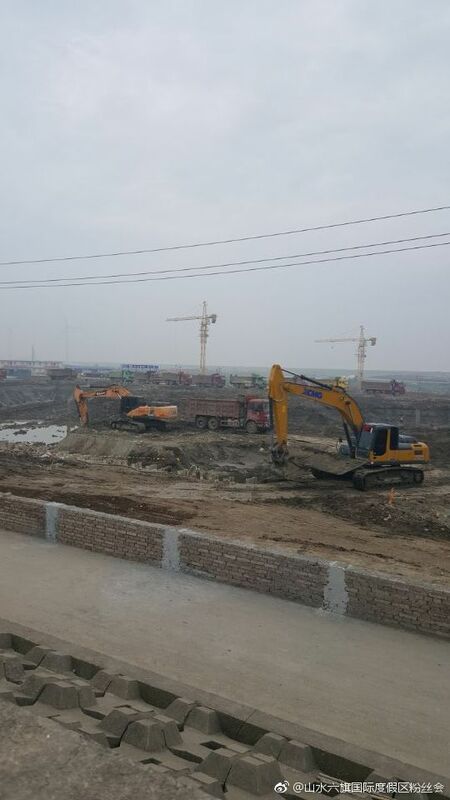 Last week construction began on Six Flags' 37 acre waterpark in Chongqing. 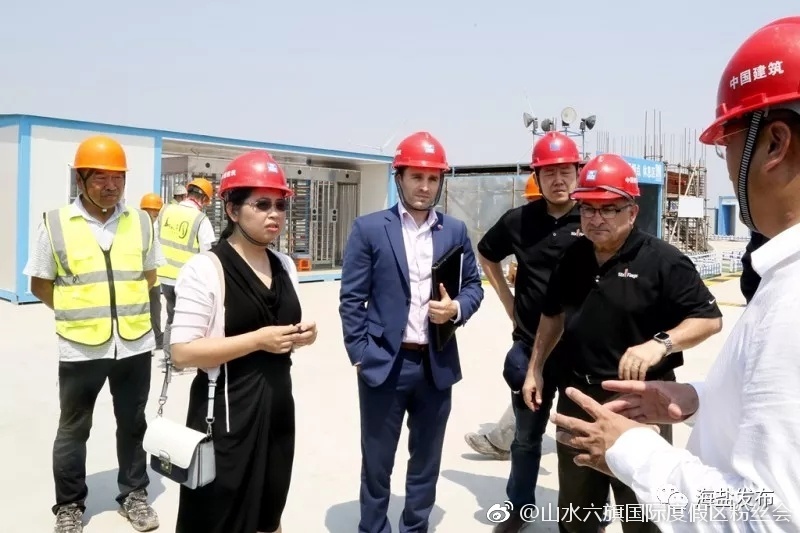 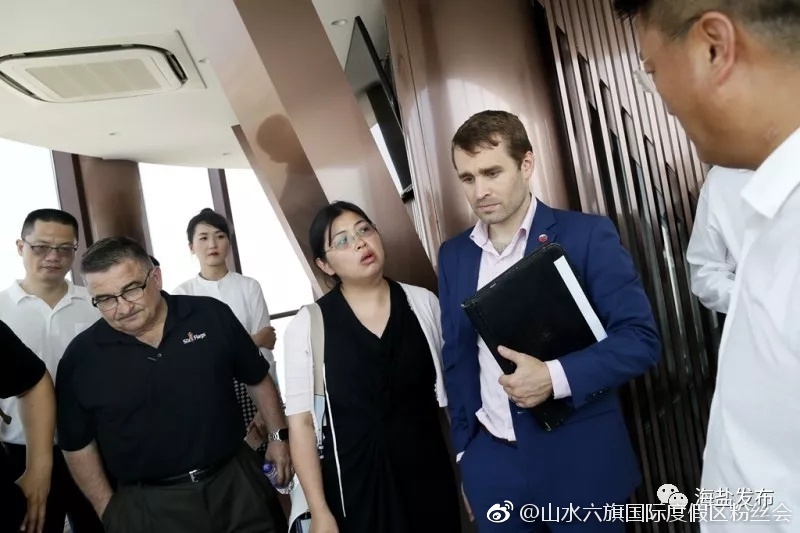 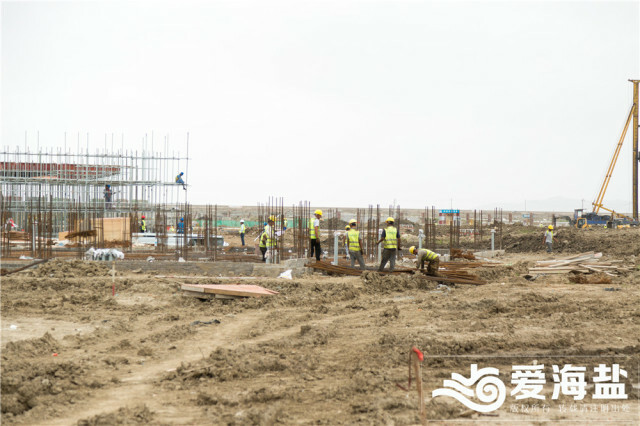 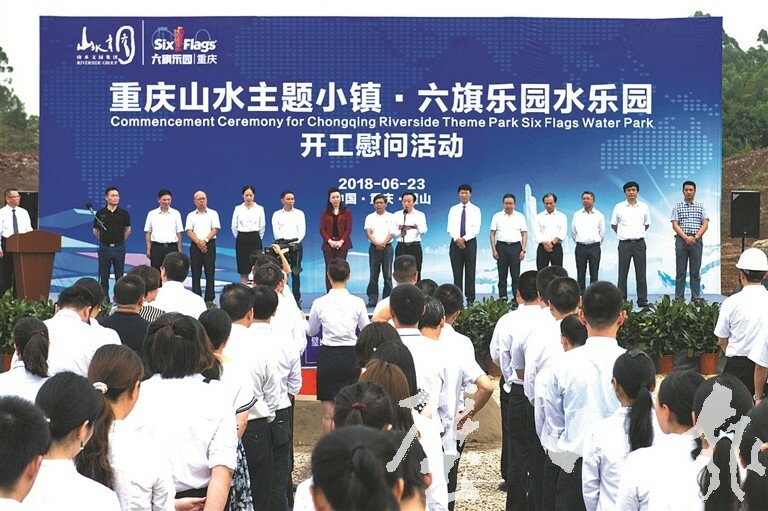 Yesterday Nathan Donohue, the Commercial Officer of the U.S. Consulate General in Shanghai, visited the construction site for Six Flags Zhejiang where he praised the project because of the cooperation taking place between American company Six Flags and the Chinese companies working to build this theme park. 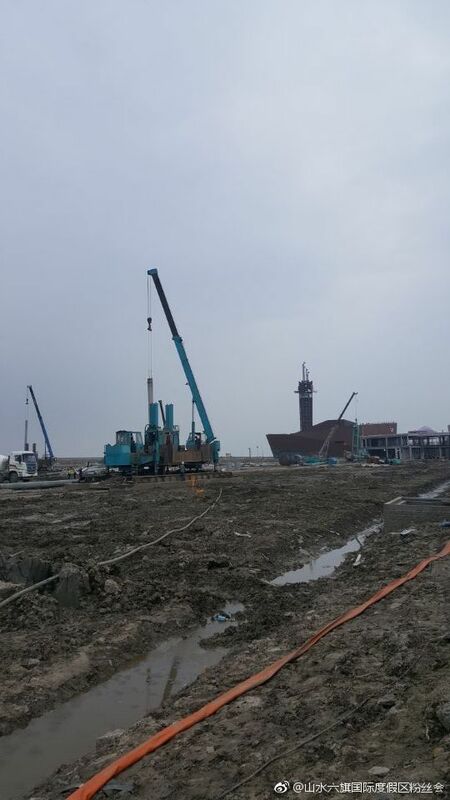 Construction of Six Flags Hurricane Harbor Water Park has recently begun. 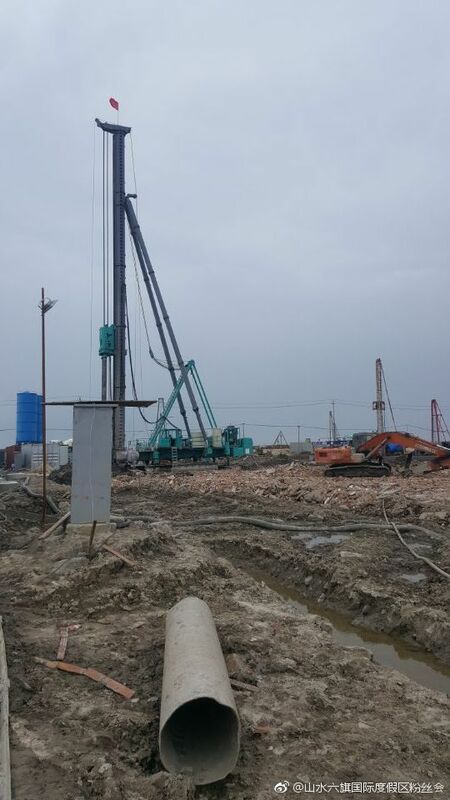 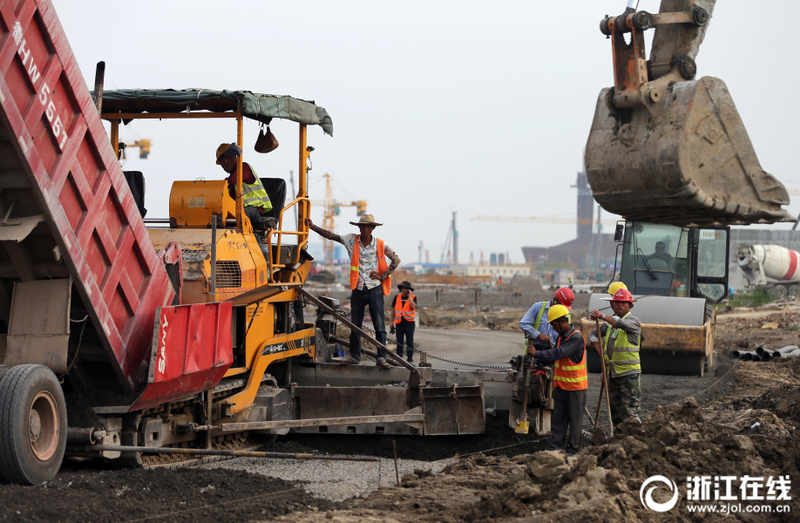 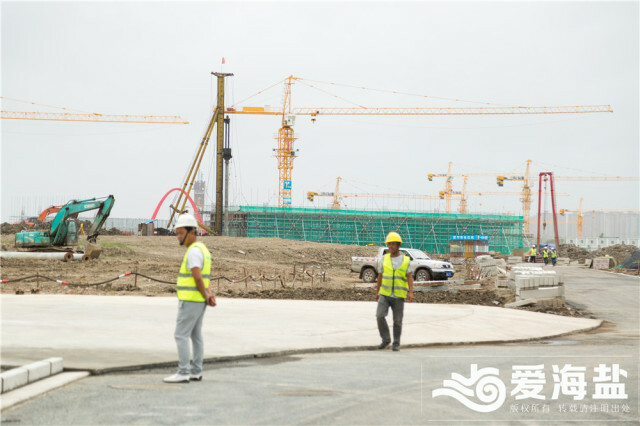 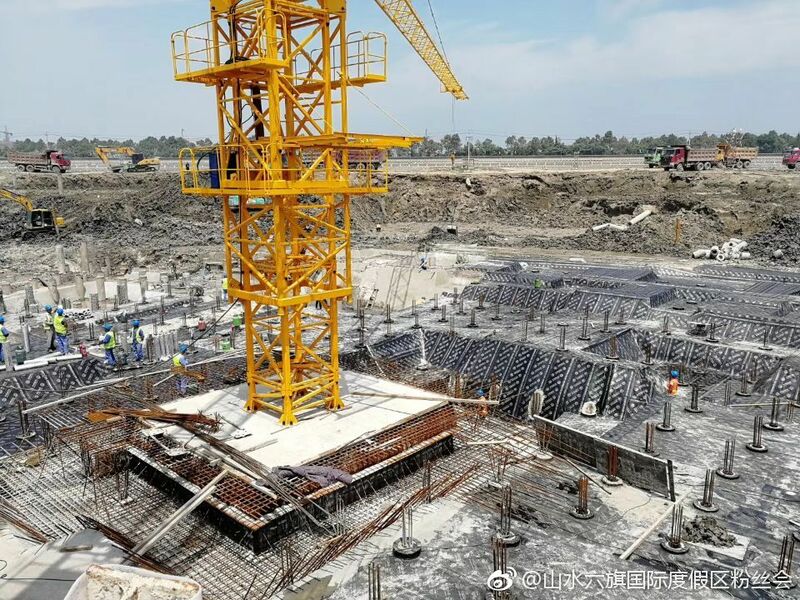 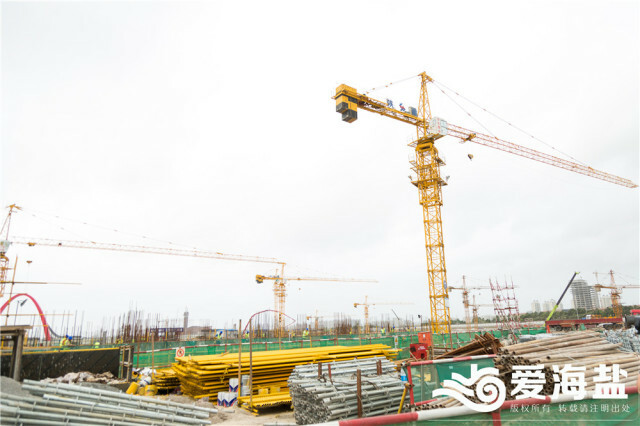 Crane installation at the theme park has been completed and pile foundations, earth excavation, backfilling, steel reinforcement of the platform, concrete pouring of the platform, reinforcement of the ground beam, and reinforcement of the floor steel are all ongoing. 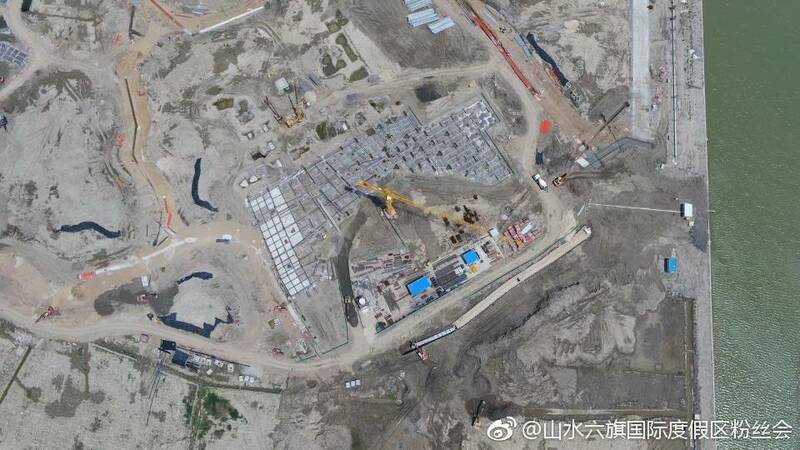 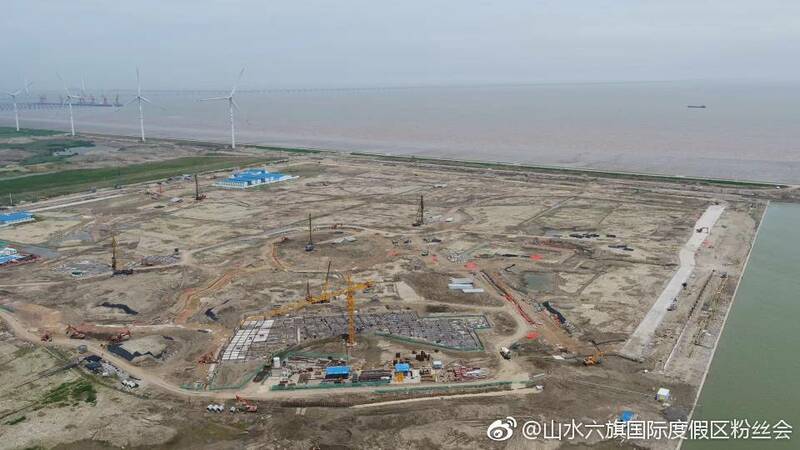 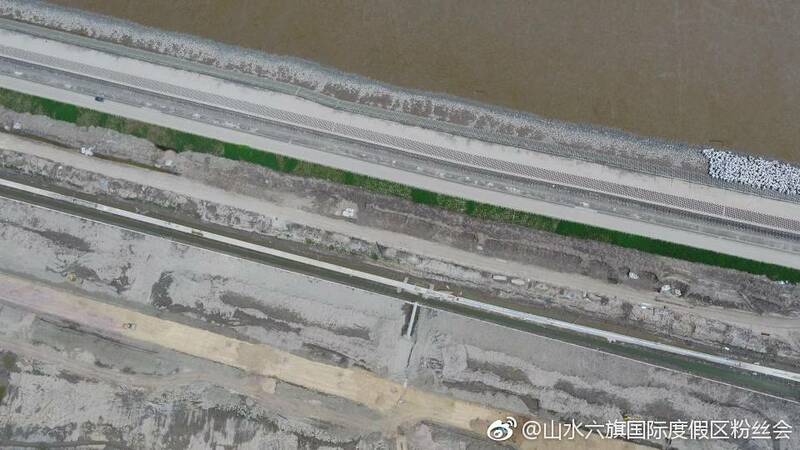 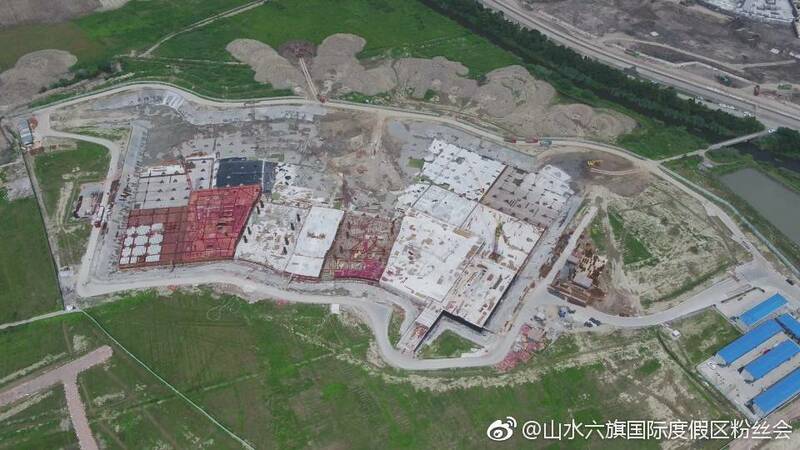 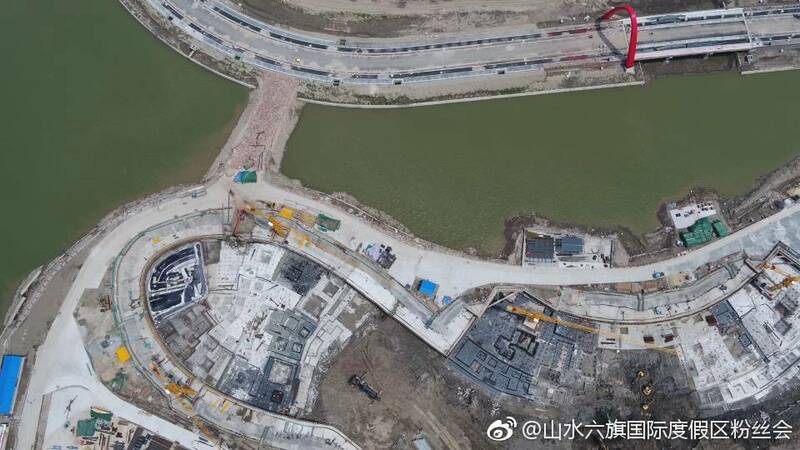 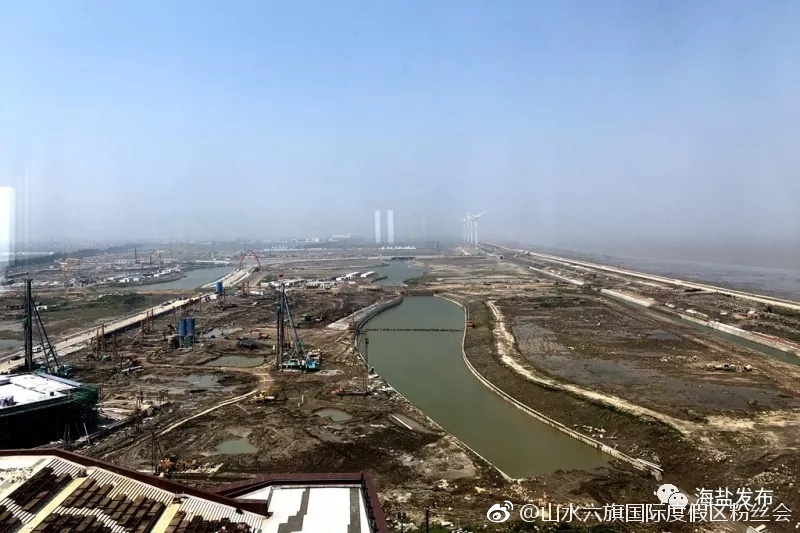 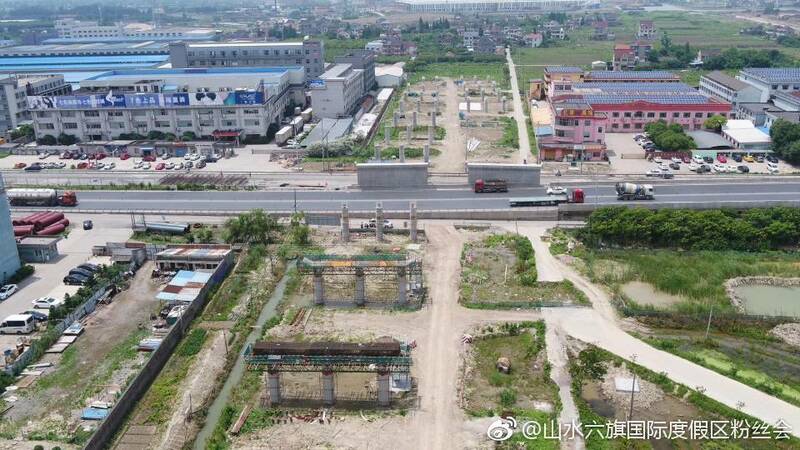 Great aerial photos showing the construction of Six Flags Zhejiang and surrounding area!